The Grand Roosevelt Ballroom located on the revitalized Yonkers waterfront, has hosted presidents. politicians and royalty. Theodore and Franklin D Roosevelt, appeared at events here during visits to Yonkers and Westchester, which inspired the ornately carved ornaments and its echoing two-story space. Renamed the Roosevelt Ballroom, in honor of the presidential family, the facility boasted performernances from leading actors (and actresses) of the day such as Clara Bow and Helen Hayes. The stage of the Grand Roosevelt Ballroom has also been home to many famous musicians and orchestras. The facility has just undergone a $2 million makeover and restoration. Now the Grand Roosevelt Ballroom is one of the largest event and catering facilities in Westchester. 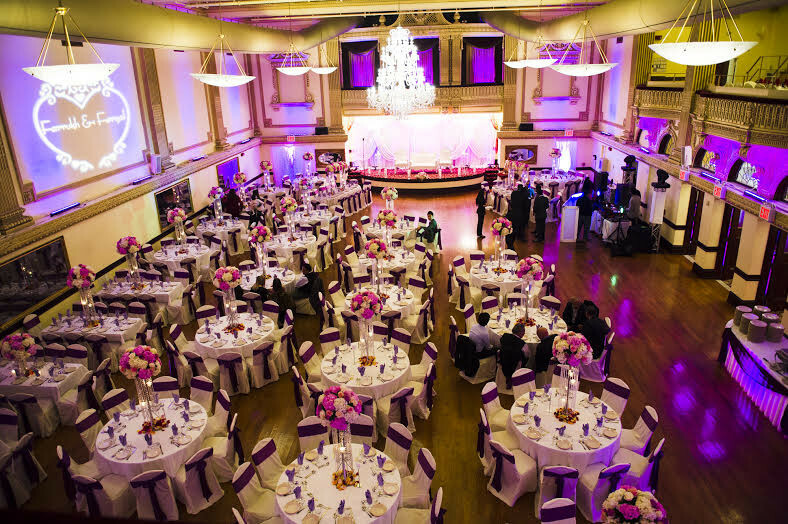 Equally convenient to Manhattan or Connecticut and boasting a staff of Cordon Bleu chefs The Grand Roosevelt Ballroom is the ideal location for any event. The Grand Roosevelt Ballroom is an architectural landmark building in Yonkers, New York. The grand, Beaux-Arts style structure was designed by G. Howard Chamberlain and built in 1904. 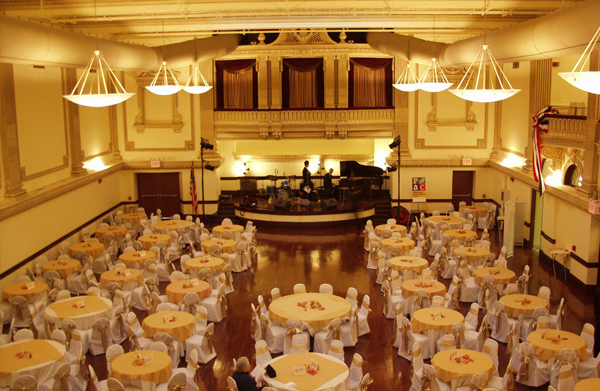 For years, the enormous grand ballroom within, with its 30-foot ceilings and extensive gold leaf decor, was a fixture of the social scene in Yonkers, playing host to all manner of meetings, parties and theatrical productions.